When you have been in an auto accident, sometimes all you want to do is heal, rather than focus on legalities and paperwork. In those situations, a settlement can look very appealing – however, it is important to evaluate any settlement offer through a wider lens, given that insurance companies are rarely altruistic. Sometimes a settlement may be in your best interests – but sometimes it is not. Statistics show that approximately 97 percent of civil cases are resolved “by means other than trial.” This does not mean that all of them settle – some may be dismissed, others resolved administratively – but the fact remains that the numbers of settled cases are far, far higher than those resolved at trial. Generally, when an insurance company wants to settle, they will send an offer to you (or to your attorney), which you can accept or reject; if you reject the offer, it will often be understood as an intent to go to trial. While it may seem to some that settlement means not getting sufficient closure for whatever wrong the aggrieved party might have suffered, in reality it can bring someone a measure of closure in a far quicker time frame than going to court might, particularly if your case would be tried in state court. Both civil and criminal dockets are, as a rule, incredibly overburdened, pushing trial dates off for months, forcing both the injured plaintiff and the defendant insurer into a frustrating limbo where nothing is done. In Florida, auto insurance and accidents are handled via the state’s no-fault system, meaning that your personal injury protection (PIP) insurer will pay at least a portion of your medical bills regardless of whomever was at fault in the accident – usually up to 80 percent “of all reasonable expenses” if you seek treatment for any injuries within 14 days of the accident. However, if you were a passenger in someone else’s car, or your accident involved an uninsured motorist, you may face difficulties getting your insurer to pay, especially if you lack uninsured/underinsured motorist coverage. It is also worth keeping in mind that if you have been seriously injured – if you have experienced “significant and permanent” loss of a bodily function, a limb, or sustained permanent scarring, you may be able to sue the driver of the automobile that struck you, or assign that right to your insurer in exchange for benefits up front. 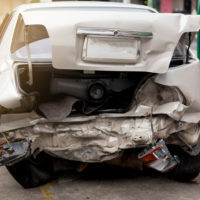 Normally Florida’s no-fault system bars suits of this kind, but if the injury is particularly severe, the tort immunity against allegedly negligent drivers is lifted. In other words, if your insurer is disputing your claim, it may be a good strategy to settle with your insurer and assign them any right you might have to collect from the at-fault driver to cover whatever they give you. The end result of any legal process is to make the injured person ‘whole,’ or at least as whole as they can be. Sometimes, settlement is the best way to achieve that, and sometimes, it is necessary to go to trial. Either way, having a dedicated personal injury lawyer on your team can help smooth out the process, and get your questions answered more quickly. The Tampa car crash attorneys at the Rinaldo Law Group are happy to try and advise you on what path might be best for you and your loved ones. Call our office today for a free consultation.